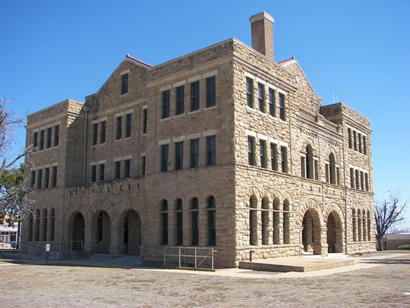 Archer County Courthouse, Archer City, Texas. Dome and cupola was removed in 1925. Archer County was formed in 1858 from neighboring Clay County, but the area remained unsettled until the 1870s. By 1875, the U.S. Army had driven the remaining Indian tribes out of North Texas and the county was officially organized in 1880. The county and county seat were named for Branch Tanner Archer, a doctor from Virginia who arrived in Texas in 1831 and quickly became involved in the Texas independence movement, including participating in the battle of Gonzales in 1835. He later became a legislator in the Texas Congress and the secretary of war for the Republic of Texas. The first courthouse was a frameless 20� x 20� one-story wooden building donated by the founder of Archer City, Dr. C. B. Hutto, a dentist from South Carolina, who also donated lots for the town square. 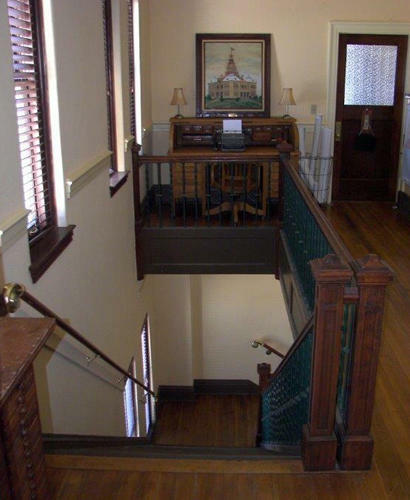 The courthouse had one large room that was used as the courtroom and by the county attorney and four smaller rooms that were used by the county clerk, sheriff, tax collector, surveyor and treasurer. 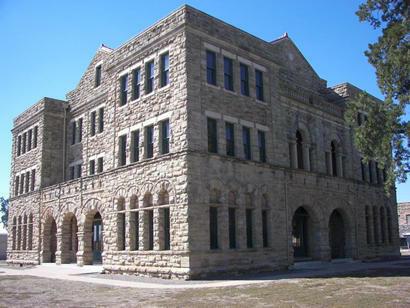 It was used until a much larger courthouse was completed in 1892. 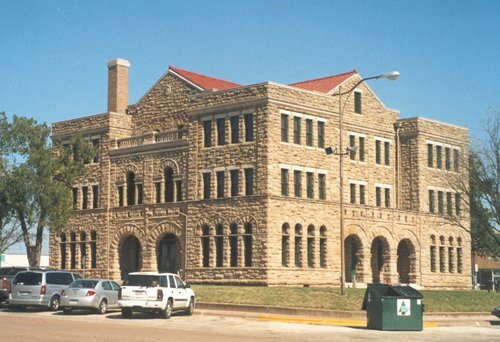 Built with brown quarry-faced sandstone obtained locally, the 1892 courthouse was designed by Fort Worth architect Alonzo N. Dawson in the Richardsonian Romanesque style in which he was well versed. 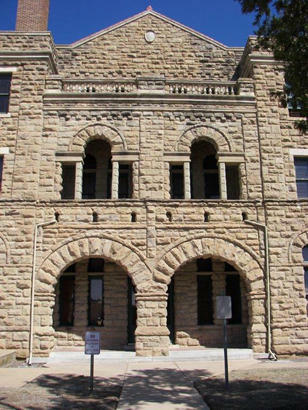 Dawson�s plans were selected from among twenty five plans that were submitted after the Commissioners Court of Archer County had invited architects to submit plans for a courthouse which would cost not less than $25,000 but not more than $35,000. Contractors J. S. DeWees and Jacob Rath of Throckmorton were hired to construct the building, contracted at $32,500. The courthouse has large entryway arches on each side, two on the north and south sides and three on the east and west sides. In the center of the north and south sides on the second story, there are openings which resemble Palladian style windows with balustrades above them. As originally built, the corner pavilions contained arched windows on the first and second floors which were surmounted by a roof with a convex curve that had bulls-eye windows in the center and square, flat caps that were slightly hipped. An octagonal clock tower, clad in sheet metal, rose from the center of the building with a large truncated cupola and a lantern on top. 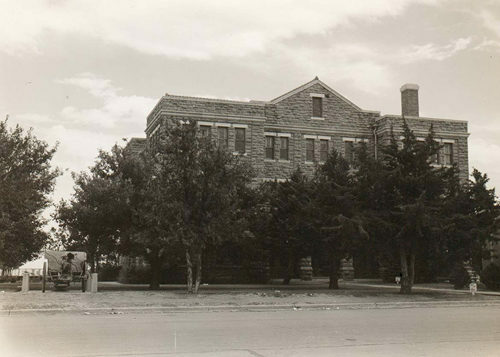 In 1926, another noted Fort Worth based architect, Elmer G. Withers, who had already designed seven county courthouses in Texas at that time, was hired to remodel and expand the 1892 courthouse. The central clock tower and roofs on the corner pavilions were removed and a third story was added. The arches over the windows on the second floor of the pavilions were removed and replaced by simple lintels which also frame the third floor windows. Gabled roofs with red clay tile now adorn the center of each side of the building. 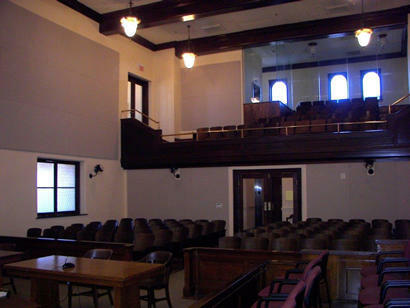 The interior was also altered, including the lowering of the ceiling in the district courtroom and the elimination of the district courtroom balcony. Wood floors were covered with vinyl tile and in 1960, metal windows were installed to replace the original wooden windows. Because of the extensive remodeling in 1926, when the county prepared to restore the 1892 courthouse in the early 2000s, it wasn�t feasible to restore the building to its original condition, so it was restored to its 1926 condition. This decision also preserved the additions made by Elmer G. Withers. A planning grant of over $120,000 in 2000 was followed by a construction grant of over $2.8 million in 2002 from the Texas Historical Commission�s Historic Courthouse Preservation Program towards the building�s restoration. Wooden windows were put back into the building and the wooden floors were restored. 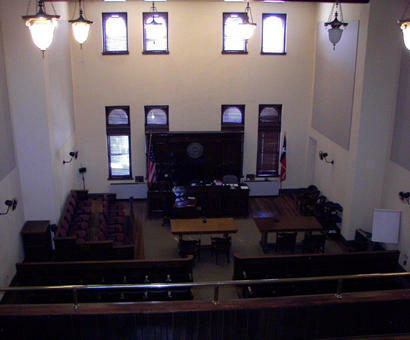 The district courtroom was also restored to its original two-story configuration with its upper balcony. A new elevator was installed and the building also received modern electrical, plumbing and environmental systems. 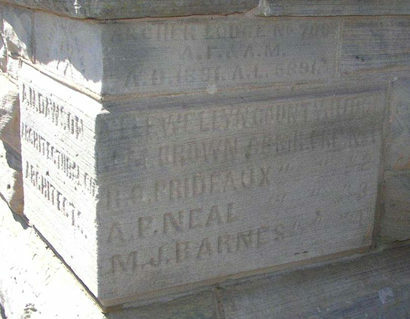 The work was completed and the courthouse was rededicated on May 12, 2005. Northeast corner of the courthouse. 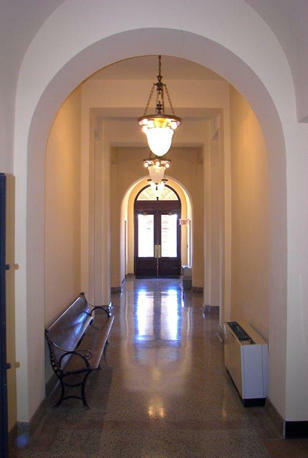 Interior hallway. At the north entrance, looking south. The 1892 Archer County Courthouse with the central tower. 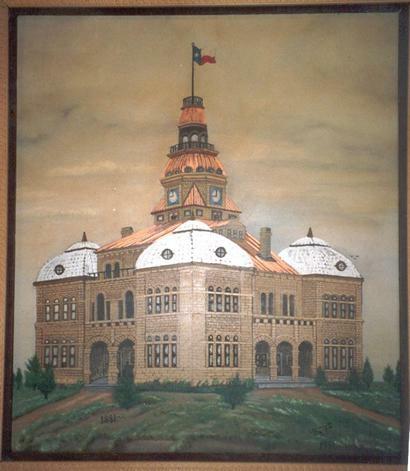 "This oil painting of the Archer County courthouse in its' original condition hangs in the courthouse today."